Mythmaking the London Olympics and its aftermath continues. A body called the Architecture Foundation, based in far off Kensington Gore, is the latest to decide it should provide a commentary on the Olympic Park. Publicity on its Facebook site announces they will explore ‘the revolutionary new district which replaced one of the East End’s most implacable industrial wastelands’. Where precisely the revolution has taken place is anyone’s guess but even the London Legacy Development Corporation (LLDC) has given up on the wasteland description of the land but myths live on in the architectural imagination. It makes for a much more adventurous event when you’re slumming it in the East End to be exploring a former wasteland rather than a place which was ‘a hive of activity and industrial innovation’ as the revisionists at the LLDC now describe the former industrial land on their Sweetwater page, Before the Games. No mention is made of those displaced by the event. Submitted by Julian Cheyne on Tue, 10/07/2018 - 13:04. Submitted by Julian Cheyne on Tue, 29/05/2018 - 16:07. Two years ago I asked the London Legacy Development Corporation (LLDC) for its projections for housing by 2031. It came back with a figure of 6,800 homes. This had to be revised down to 6,650, then further revised down, although not acknowledged by the LLDC, to 5,650 and finally to 4,700 homes. The LLDC quotes a completely different figure of 10,000 homes on its website. This total includes homes on several other sites sites, including East Village, the former Athletes’ Village, and Glasshouse Gardens, which are both on the Stratford City site, and Strand East, none of which have anything to do with the Olympics. The LLDC also likes to refer to something called the Legacy Communities Scheme (LCS), which includes Rick Roberts Way, which is outside the Olympic Park, but which they include in the Pudding Mill Neighbourhood. This site would have been developed regardless of the Olympics. As above, the LLDC’s response to my 2016 FoI request needed some revision! The Legacy Communities Scheme (LCS) has planning permission for up to 6800 homes across five new neighbourhoods by 2031. This breaks down to up to 850 at Chobham Manor; 650 at East Wick; 850 at Sweetwater; and 1700 at Pudding Mill. The LCS also includes a further 2600 homes at Marshgate, however, the proposals for this neighbourhood will be reviewed as part of the Olympicopolis project, our proposals for a new University and Cultural Quarter. Submitted by Julian Cheyne on Tue, 22/05/2018 - 19:04. Against the background of the all consuming scandal which has engulfed South Korea's now deposed President Park Pyeongchang2018 looms up as the next fixture in the Olympic murk. The scandal surrounding ex-President Park Guen-hye, her confidante, Choi Soon-sil, and South Korea’s secretive companies, or chaebols, such as Samsung, Hyundai, Lotte or Hanjin, has cast a light on the shadowy interactions between the government, the secret services and the chaebols, the companies which came to dominate the South Korean economy during the dictatorship of Park’s father, Park Jung-Hee. Submitted by Julian Cheyne on Mon, 27/03/2017 - 13:20. 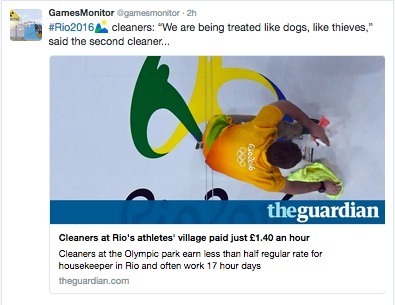 Back in July 2016 after I posted an article about job creation in the aftermath of London2012 on Games Monitor BBC Radio 4's You and Yours programme contacted me for an interview. They had come across my FoI requests which showed that so far fewer than 1000 jobs had been created on the Olympic Park and LLDC projections for homes within the Park were likely to be lower than 6,650. In fact following further reseach I found that the figure is probably around 4,700 with the possibility of a 'legacy' of almost no genuinely affordable housing when taking into account the demolition of housing at Clays Lane and Park Village for the Olympics. My interview with You and Yours was pre-recorded making it impossible for me to argue on air. The programme then held a live interview with the London Legacy Development Corporation's Director of Communications, Marketing and Strategy, Ben Fletcher, who proceeded to claim the LLDC would be creating 40,000 jobs and 24,000 homes. He compared this with a town the size of Milton Keynes in its early stages. The BBC interviewer pointed out that Stratford City, the massive development next to the Olympic Park, would have been built anyway. Fletcher couldn't disagree with this obvious statement but resorted to the usual strategy of casting doubt on whether Stratford City would have been completed given the credit crunch. Fletcher also repeated the canard of the 'catalytic' effect and declared "what we don't know and what we will never know is whether those projects would have survived without the Olympics." Many people, he thought, would say they would not have done so. Prior believes the long-term regeneration elements and development opportunities will happen with or without the Olympics. What may differ is the pace of change. In the event of a successful bid, developers in partnerships might have to play a longer-term game – the land would not be freed for its end use until after the 2012 event. Submitted by Julian Cheyne on Wed, 25/01/2017 - 15:31. Submitted by Steve Dowding on Fri, 19/08/2016 - 14:48. Submitted by Julian Cheyne on Sat, 30/07/2016 - 23:26. We're fairly inured by now with the idea of the Olympics providing a state of exception but 50 days before the 2016 Opening Ceremony Rio has now gone one better announcing a state of public calamity. Or perhaps Citius, Altius, Fortius just got lost in translation. Submitted by Steve Dowding on Fri, 17/06/2016 - 21:44. 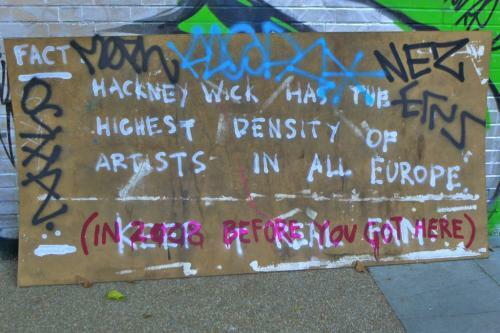 One of the major promises of London 2012 was that it would create a large number of affordable homes for East Londoners. How many homes are now expected to be provided on the Olympic Park? What is the breakdown expected to be per neighbourhood? Submitted by Julian Cheyne on Tue, 07/06/2016 - 22:51. The London Olympics has been the subject of some wildly optimistic job creation predictions, most notably Gordon Brown's claim of 50,000 jobs, which even the London Development Agency (LDA) warned should be 'treated with caution'. how many jobs are now predicted to be created in the Park as a whole, including at Here East, Olympicopolis and further jobs in the administration, security, maintenance, services, etc, in the Park? Submitted by Julian Cheyne on Fri, 03/06/2016 - 17:56.